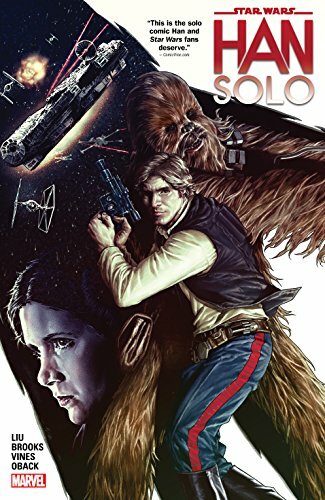 Collects Han Solo (2016) #1-5. Everyone’s favorite scoundrel goes Solo! 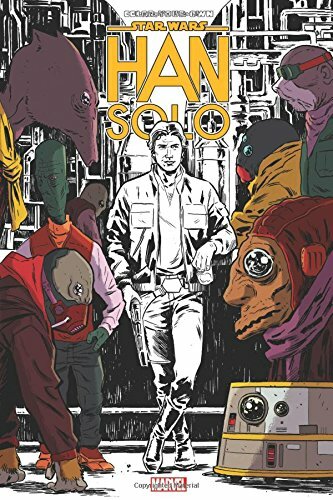 Han is given a top-secret undercover mission for the Rebellion: rescuing several informants and spies! His cover for the assignment? Only the biggest and most infamous starship race in the galaxy, the Dragon Void—a tournament he has dreamt of winning his entire life. With a chance of glory, can Han keep his mind on the mission? Or is failing Leia worse than losing? If that wasn’t enough, there’s also the small matter of finding a traitor within the Rebellion. As the Dragon Void heats up, can a certain Wookiee pal lend a hand in the mole hunt? Place your bets for the ultimate space race! Our money’s on Han and the Millennium Falcon — after all, it’s the ship that made the Kessel Run in less than twelve parsecs!